Whilst Ed still has work to do, there has been an improvement in voter attitudes to him personally the day after his major speech to the Labour party conference – our new poll for The Daily Mirror. 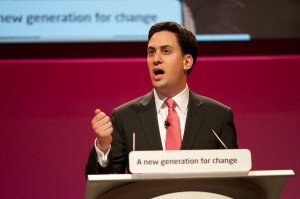 Three quarters of people surveyed (1078) had seen or heard about Ed’s speech and had an opinion. Ed Miliband’s personal public opinion ratings historically have been very poor. Whilst problematic to compare different polls where questions were put in different ways, in Survation’s pre-conference poll on September 23rd only 18% of those voters asked said that they agreed for example that Ed Miliband was statesmanlike. In today’s poll of those voters who had an opinion and saw Ed’s speech, 34% agreed “Ed Miliband’s speech made him more statesmanlike”. In contract to recent polls raising the spectre of “picking the wrong brother” Ed may also take comfort that voters now rate him closer to his brother David, with only 26% of people still disagreeing that he is “just as qualified as his brother David to be the next Prime Minister”. In an pre-conference attack poll commissioned by the Conservatives, 73% of people asked agreed with the statement “Ed Miliband does not have what it takes to be Prime Minister” vs 27% who disagreed (there was no neutral / don’t know option – responders had to make a forced choice), a net figure of -46. In our poll, 19% of people agreed with the statement “Ed Miliband has what it takes to be Prime Minister” and only 34% disagreed, a net figure of only -15 and thus a considerable improvement from those sensationally poor pre-conference statistics. Around a quarter of voters in our poll say they are more likely to vote Labour following Ed Miliband’s speech – a significant impact for a single speech given how uninspired the public often are by (well) anything politicians have to say.